Going from strengthto strength with more 8 to 14 year olds than ever competing in this ever growing sport. Swim, cycle and run, open to all abilities, entry fee: £16. Exhilarating multi-activity days with exciting activities including canoeing, kayaking, climbing, abseiling, mountain biking, coracle days, coastal traversing, Pico sailing, high ropes, archery, bushcraft and environmental days. For aged 6 years +. There are outdoor education centres at Porthpean, St Austell, 01726 72901; Delaware, Gunnislake, 01822 833885; St Just-in-Roseland, 01326 270885; Carnyorth, St Just, Penzance. 01736 786344. BF Adventure, Longdowns, between Falmouth and Helston. New Children’s Holiday Club: will run Mon through Fri with different activities every day – starting Monday 28 July through to Friday 29 August, 9.45am to 3.30pm (£25pp) or from 8am to 5pm (£35pp), ages 7 to 11 & 12 to 15. 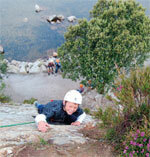 They also run family adventure days and adrenalin-rush birthday parties. RAW (Rock, Arrow, Water) Adventure Days and birthday parties will be running every day subject to availability from Friday 25 July through to 1 September. Mylor Sailing School, Mylor Yacht Harbour near Falmouth. Beginners, intermediate and advanced RYA Sailing & Power-boating courses, family taster sessions, clubs and lessons. 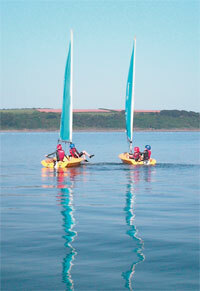 Sailing Race Club, 2.30 to 4.30pm,experienced 8+,£15. Swallows & Amazons fun sessions for 6yrs+, 9.30 to 11.30am & 12noon to 2pm, £15, book. From 8 Sept: After School Sailing Club (non-profit making club). 5 week blocks. Mon to Fri, 4.30 to 7.30pm. Work towards RYA certificates, beginners welcome, (£14 per session, £70 for 5 weeks in advance). Cornwall Cricket Board is running 43 days of children’s cricket camps at clubs around the county this summer. Each club will be hosting several days of cricket games and activities, run by the Board’s three Community Development Officers Chris Roberts, Liam Hoban and Matt Rowe. Young cricket enthusiasts and complete beginners can have fun learning cricket at St Blazey, Redruth, Werrington, Truro, Penzance and Menheniot cricket clubs and NEW for this year, at Rosudgeon, Camborne, Helston and Wadebridge. Application forms and further details on www.cornwallcricket.co.uk, or by contacting Mark Mitchell, the Cornwall Cricket Centre Manager 07805 787858 / 01872 267138 or bookings@cornwallcricket.co.uk. It is much cheaper to book and pay in advance so sign up as early as possible, prices can be as low as £9 per day, whereas the ‘on the day’ price is £20. The indoor Cornwall Cricket Centre, Truro College, hosts many clubs and other serious coaching groups, and is available for privatelyorganised tournaments and children’s parties.